For the first time ever since their release, this June the Windows 8 & 8.1 together have beat the Windows XP – the second most popular and widely used OS for desktops around the globe. Web Tracker Net Applications in its recent release reported that for long, more than 13 years now, Windows XP remained the best known OS globally for desktop computers with over 14.6% share. However, after Windows XPs release, Microsoft, the OS maker, released number of OSs’ including the Windows 7, 8 and 8.1 but none of them could continue succeeding a volume share of the global OS market. 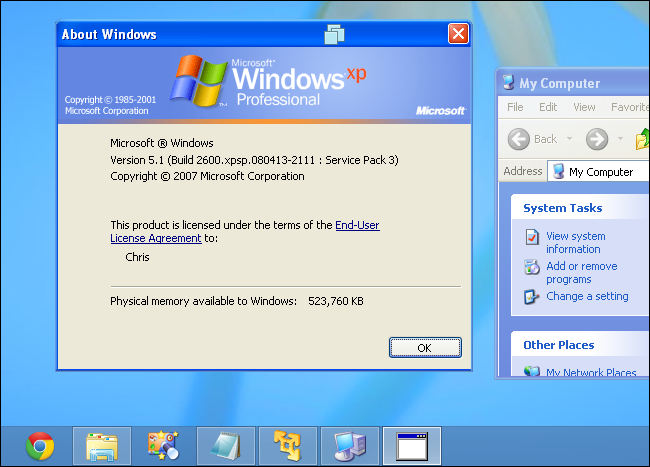 According to the report of Web Tracker Net Applications, currently Windows 7 is the largest OS with 57.76% share including the desktop and smart phone while till early June 2015 the competing rival was Windows XP with 14.6% share, followed by Windows 8 & 8.1 together for 12.88% market share. Mac stood for 4.2%, Linux 1.57, Vista 2.01 and Windows 8 alone. For long the Windows 8 & 8.1 kept struggling to make its way in the market to capitalize the market share. But this month, Windows 8 and 8.1 together pulled down the Windows XP to third position to be the single most dominant OS for desktops. The survey was conducted based on the users’ online access and their desktop OS orientation. 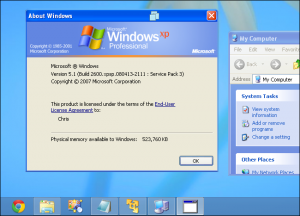 Windows 7 still continues to grow in volume while many of the XP users shifted to Windows 7 as their preferred OS migration than the Windows 8 and 8.1. Certainly, the Windows 8’s initial release response went tragic for Microsoft, especially its touchscreen centered orientation, was much of annoyance to users used to deal the Vista and XP. Microsoft announced end to many of its products in the past and recently Vista received a farewell bid. Given the users less receptiveness towards Windows 8, Microsoft moved to improvise the version and released 8.1 which supposedly believed to have even friendlier usability in terms of optimizing the touchscreen elements, the keyboard and the mouse functioning. However, the user demand did not change. Both the 8 & 8.1 continued to receive very less optimistic market response. The effect roamed in 2012 with the release of Windows 8 still continued and did not really let Microsoft see a good future in the desktop’s OS regime, contrary, induced the Microsoft to tap in mobile and smartphone segment for the OS. Experts presumed that Microsoft’s recent announcement for Windows 10 to be its ultimate version and will be offered on free as update to everyone; can be a reason for many to migrate among XP to higher and newer versions. Predict a change soon in OSs with Cloud and IoT. Certainly, users migration between OSs’ is natural but for long XP remained in its position and this June we have the historic change recorded and Windows 8 & 8.1 together came up to lag behind the Windows 7.